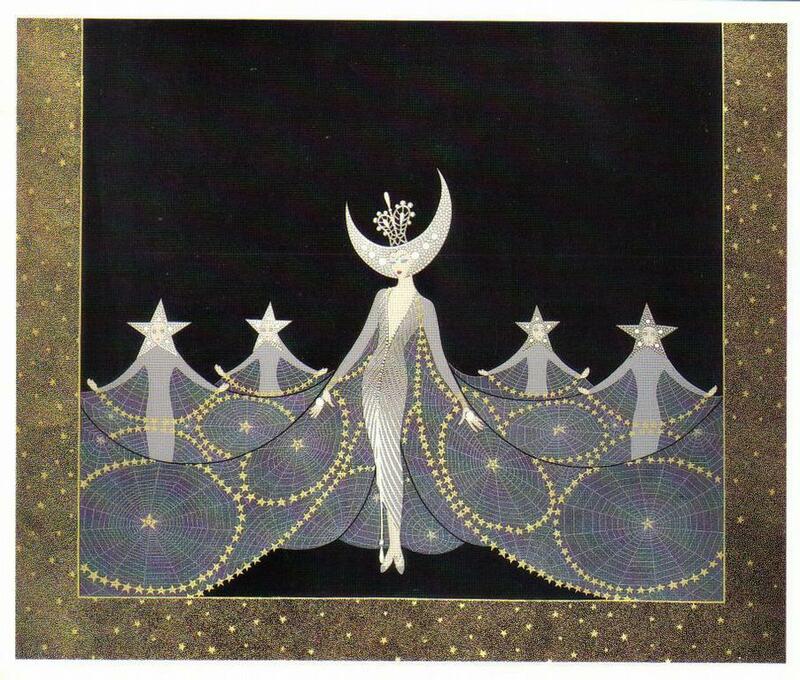 One of the most famous designers of the 20th century and a defining member of the Art Deco movement, Erte’s illustrious career almost never was. 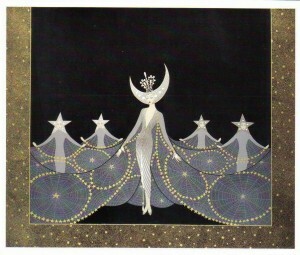 Born Romain de Tirtoff in 1892 to a famous Russian family in St. Petersburg, Erte’s father had fated his son for a prestigious military career, but Erte had other ideas. From an early age he displayed a predilection for costume and fashion design, and in 1912, 20-year-old Tirtoff forsook his family’s wishes and moved to Paris to realize his dream of fashion design. In Paris, Tirtoff adopted the name Erte, the French pronunciation of the first letters of his first and last name (Romain de Tirtoff). He quickly landed an engagement with Harper’s Bazaar magazine, designing covers and submitting fashion drawings for 22 years. His Art Deco style of stage sets and costume design was displayed prominently in Parisian theater productions of the day, and his Harper’s covers are still widely celebrated to this day. 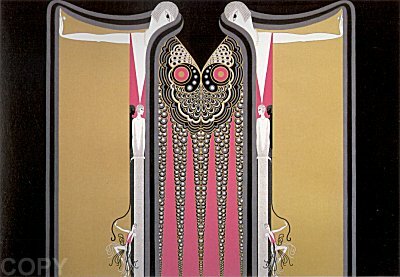 After the Art Deco movement faded, Erte’s work fell by the wayside until a resurgence in interest in Art Deco in the 1960’s and a meeting with art dealers Eric and Salome Esoterick in 1965. The trio immediately formed a close bond and the Esotericks brought Erte’s designs back into the spotlight with numerous highly acclaimed exhibitions in the late 1960’s. After one exhibition in New York of 170 works, the Metropolitan Museum of Art, in an unprecedented move, bought the entire collection. Realizing there was a great demand for Erte’s work, the Esotericks encouraged him to produce lithographs and serigraphs; new mediums for his new audience. 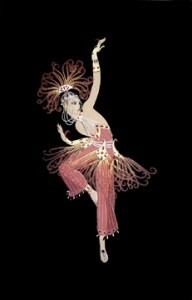 He continued to produce graphics and design costumes and sets for the theater until his death in 1990. 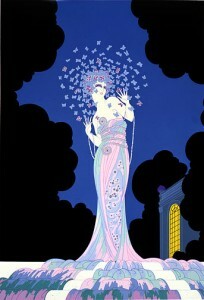 Barnett Fine Art has several Erte graphics available on consignment that highlight his inimitable interpretation of Art Deco design. The ghostly contorted figure in Fire Bird immediately begs the question of the object of her gaze. The layering of the costumes in Queen of the Night creates the impression of one long, intricate flowing costume which is both large in its scale and small in its intricacies. Fantasia is instantly recognizable in its Art Deco styling, effortlessly blurring the distinction between the figure and her environment. Finally, Twin Sisters, with its surreal figures and delicate patterns, delights the eye with its perception-bending effect. Other graphics, newly consigned, can be seen on our website. This entry was posted on Friday, April 4th, 2014	at 4:48 pm	and is filed under Consignment Services	. Both comments and pings are currently closed.